The Southern Association of Workers’ Compensation Administrators welcomes you to its website and invites you to visit often for the latest announcements & information regarding future programs as well as those events that shape our industry. With the announcements in 2014 and 2015 that Colorado and Maine have both joined SAWCA …and now in 2018 with Wisconsin becoming the 20th state and 22nd jurisdiction to become a governing member of SAWCA…it is a clear demonstration that not only is “Southern” a “State of Mind” but that SAWCA is a growing, relevant, and vibrant association providing significant benefits to its members. Who knows, along with the traditional “Grits”..maybe Lobster & Buffalo Cheese Burgers will become a staple at future conference luncheons. 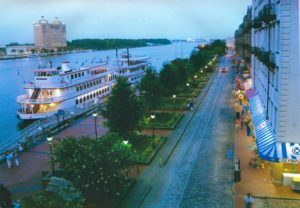 As you look forward to 2019 be sure to reserve the dates for the 71st Annual Convention that will be held July 29 – August 2, 2019 at the Hyatt Regency Savannah in historic Savannah, Georgia. Make your plans now to join us in Savannah and take advantageof a great program in a wonderful location. Mark Your Calendars Now!